Pedro Castellanos Lambley is one of several distinguished Mexican architects who designed and built the fine old homes in Chapala that now give the town its architecturally-eclectic appeal. 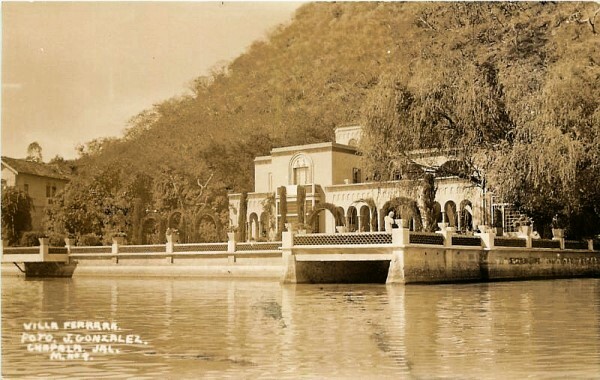 Castellanos was the architect of Villa Ferrara, at Hidalgo 240, in Chapala. This elegant dwelling was photographed in the mid-1930s by American photographer-architect Esther Baum Born during her travels across Mexico documenting the rise of Mexican modernist architecture. Castellanos was born in Guadalajara on 26 January 1902 into a high society family that excelled in literature and politics. His grandmother was the poet Esther Tapia de Castellanos. His father was Luis Castellanos Tapia who was governor of the state of Jalisco, 1919-1920, and his mother was Carolina Lambley Magaña. The young Castellanos completed his basic education in the U.K. and at a military school in the U.S. before returning to Guadalajara to enter the city’s Escuela Libre de Ingenieros, then run by Ambrosio Ulloa. Fellow students in the engineering school included several other noteworthy Guadalajara architects including the internationally renowned Luis Barragán Morfín. By the time Castellanos graduated in 1924, Barragán was working on projects with his brother, Juan José Barragán, who was a prominent builder. When Luis Barragán left the partnership to start his own architectural practice, Castellanos succeeded him as Juan José Barragán’s lead designer. Several years later, in about 1931, Castellanos and fellow architect Luis Martinez Negrete started their own practice – Castellanos and Negrete – which quickly gained a enviable reputation for appealing and successful designs representative of early Modernism. Villa Ferrara, Chapala. ca 1950. Architect: Pedro Castellanos Lambley. Postcard: J. González. Among Castellanos’ most famous designs from this time are Villa Ferrara in Chapala and several stately family homes in Guadalajara, as well as the city’s old San Juan de Dios market (which was replaced in the 1950s). Between 1935 and 1940, Castellanos partnered with Juan Palomar y Arias to propose an ambitious plan they referred to as “El Plano Loco” (“The Mad Plan”) for a utopian, visionary and futuristic Guadalajara. It called for the creation of a 120-meter-wide ring of circulation around the city. Districts would be divided by broad boulevards and linear parks and walkways would link to a massive green space in the center to produce a genuinely ecological city. On the city’s northern edge, they proposed the creation of a Parque de la Barranca. Castellanos had become one of Guadalajara’s most successful and highly respected architects when he switched tracks in 1938 and entered the Franciscan order in Aguascalientes, after which he focused exclusively on designing ecclesiastical buildings. Castellanos was on the diocesan Art Commission from 1940 and designed the chapel at Ciudad Granja, the Templo de Nuestra Señora del Sagrado Rosario in Guadalajara and several other temples in small towns. He also designed the tower and entrance to the church of San Miguel Arcángel in La Manzanilla de la Paz south of Lake Chapala. 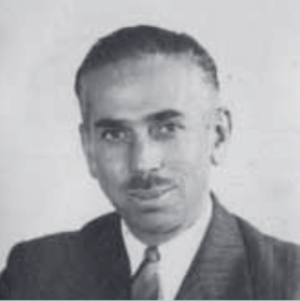 Pedro Castellanos Lambley died in his native Guadalajara on 25 September 1961. Juan G. Heriberto Allera Mercadillo. 2015. Las villas de descanso de Chapala. Guadalajara: Tecnológico de Monterrey / Municipio de Chapala. Center for Creative Photography, The University of Arizona, Tucson. Finding aid for the Esther Born collection, 1935-1937. Juan Palomar Verea. 1995. “Contra la amnesia tapatía: para recordar a Pedro Castellanos”, in Minotauro, núm. 2, Guadalajara, 31 mayo 1995.